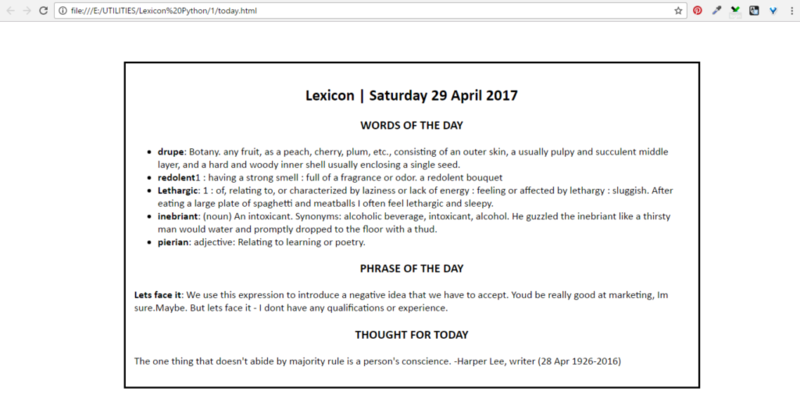 Lexicon: A script that scrapes off word of the day from 5 different websites, along with a phrase of the day and a thought for today. 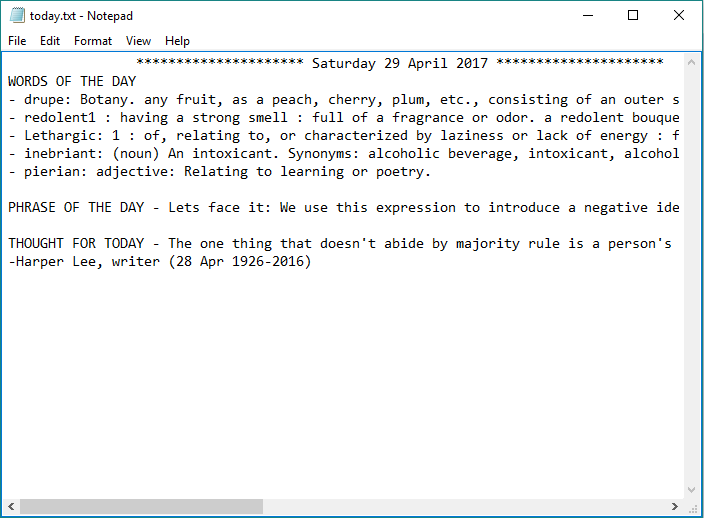 The script writes these words to a text file 'today.txt', an html file 'today.html' and an archive file 'archive.txt'. Once the script finishes, it opens the folder containing these files, and opens these files in notepad and default browser. Paste the above contents in a .py file on your computer. 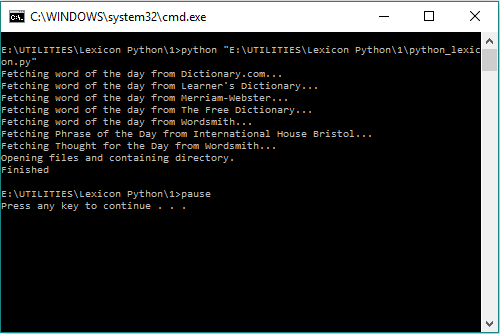 In the terminal or command prompt, type in $python path_to_script.py to execute the script. If all goes well, the script will open the text files, HTML file and the containing directory for you once it is done scraping. In Windows, you can optionally execute a batch file (.bat), lying in the same directory as the .py file, with the following contents, to get the output. You can schedule this script to run daily using Windows Task Scheduler. A demonstration is given here.